Do I have to view my messages as “conversations” with Exchange Online? You can easily turn on and off conversation view in your Exchange Online account. 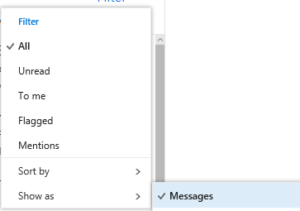 From Outlook Web Access, click the drop down next to Filter. Click Show as, then check Messages. 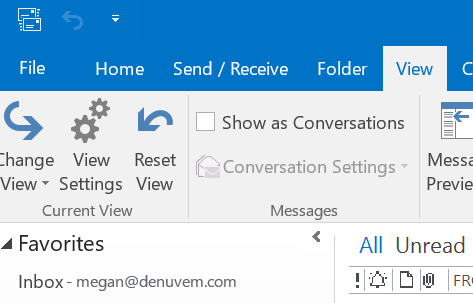 In Outlook 2016, click on the View tab and deselect Show as Conversations. ← How do I create an email alias for a mailbox in Exchange Online?